Having a good night's sleep affects your daily routine. Therefore it is best to get enough and uninterrupted sleep. Sleeping makes one third of our days here on earth. Sleep is necessary for proper brain and body function. Nowadays, most people have the difficulty in sleeping. However an easy home remedy can do the trick. Wearing socks while sleeping may seems to create more heat unto the feet but this actually helps by regulating the internal body's temperature. 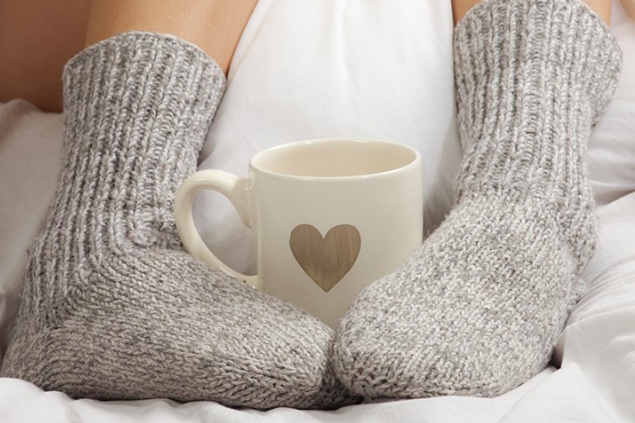 A study conducted in 2007 has shown that adults who wear socks to bed actually sleeps quite faster than those who doesn't. During the night, a person's core body temperature gradually drops reaching the lowest temperature at 4 AM. Having an average body temperature of 98.6 degrees Fahrenheit (°F), varies by 1 to 2 degrees over the course of 24 hours. Vasodilation or the response of making the blood vessel dilate due to the warming up of the feet and hands; releases heat throughout the skin and lowers the core body temperature. With this, it sends a signal or message to the brain that it is bedtime. 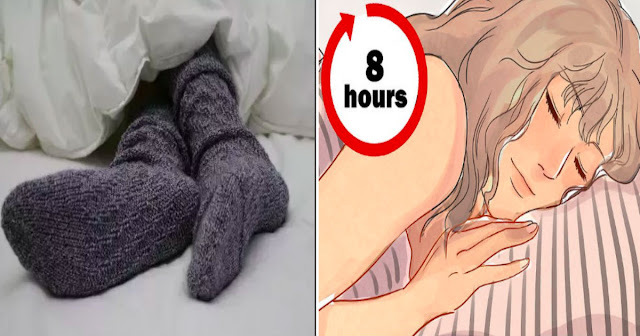 Try to make this a habit to regulate your body temperature and sleep as well. Bring a pair of socks wherever you go, just in case.